As an artist and silversmith, Mathew Citrenbaum has created custom jewelry and objects for many satisfied clients over the years. 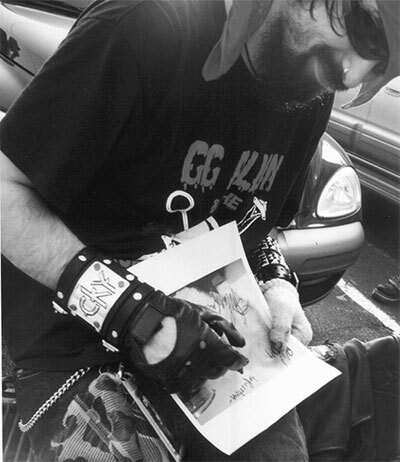 He founded his first design shop, BENTFORMS, in 1994 and later produced his own line of jewelry for retail as well as high quality production logo jewelry with his CKY Jewelry Line for discerning fans of the acclaimed rock band CKY. Clients include: musician and producer Chad Ginsburg (Rudy & Blitz, CKY) who commissioned a custom leather wristband, and pro skateboarder and MTV Jackass reality series alum, Bam Margera, who commissioned a custom "Heartagram" hood ornament for his Mercedes S55. Seen here featured on Bam's MTV Cribs episode. As a teacher, for over 15 years Mathew Citrenbaum has helped aspiring artists to develop and hone their craft. Mat was awarded his first patent in 2002 for an ergonomic tool grip and then again in 2005 for a skateboard rack. Have a project for Mat? Get in touch.